As a fleet manager, you need to find an electronic logging device that best works for your fleet. Same goes for independent owner-operators. There is one problem though. The market is overwhelmed with a wide selection of ELD solutions. So, how to make a decision? Well, your best bet is to go through the abundance of reviews and information on the web. In this review, you can get familiar with Zonar ELD. From features to capabilities to benefits, you will find a lot of valuable information. That will help you determine whether this solution is for you or not. 0.1 Zonar ELD Review: Who is Zonar? Zonar ELD Review: Who is Zonar? Zonar an American company that has been around for about 17 years, producing management and tracking solutions related to vehicle inspections. They hold more than 100 different patents in tracking technology, data collection, and processing. The tracking technology offered by this telematics company uses information generated by engines as well as onboard sources like GPS systems. 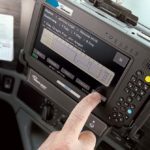 When it comes to electronic logging devices and Hours of Service, this company is a relative newcomer. Nevertheless, Zonar electronic logs are validated and tested to meet all FMCSA requirements. With over 450,000 tracking units installed in the vehicles across the United States, they assist consumers with implementation, transition, and coaching strategies for switching from paper to electronic logs. Some telematics units and platforms worth mentioning include Zonar V4 control unit, Zonar V3R, Ground Traffic Control, ZTrak Asset Tracking, and ZFuel. 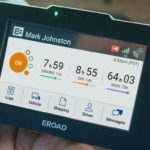 With regard to mobile platforms and electronic logging devices, the most popular solutions include 2010 Electronic Inspection Device and Zonar 2020 Tablet. 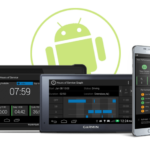 Zonar Logs is an FMCSA verified solution that allows drivers and back office staff to record driving time, Hours of Service (HOS), and gain ELD compliance. 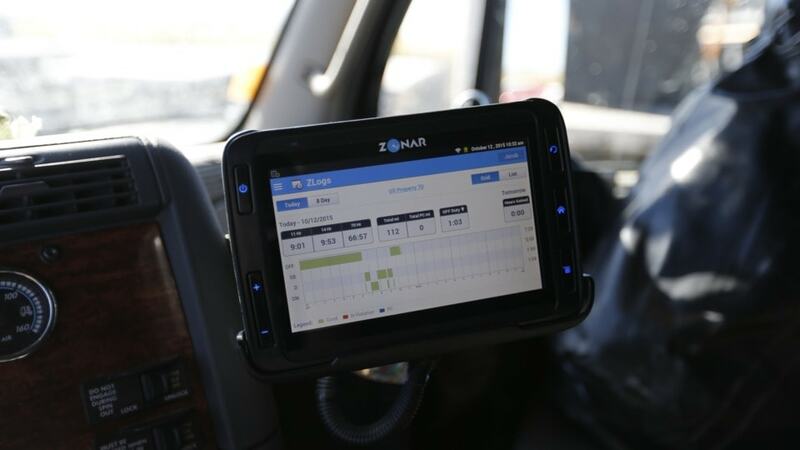 By combining Zonar telematics hardware and Zonar Connect tablet, this E-log solution can take driving experience to a whole new level. However, the possibilities of this solution go beyond ELD compliance and Hours of Service. Zonar offers a wide spectrum of tech solutions that enable companies to improve logging and reporting accuracy, enhance safety, increase the trucks uptime, and cut fuel costs. This eventually leads to a higher Return On Investment (ROI). You can make use of this exclusive feature with the Zonar 2020 tablet. Driver logs are displayed in a clear and easy manner. In addition to drivers, the Roadside View makes it easier for law enforcement to check HOS information during an inspection of a commercial vehicle. The interface is user-friendly, sharp and easy to read, so all required information can be seen almost at a glance. The touchscreen is responsive and accurate. Moreover, all data are stored on the tablet securely. Zonar ELD is designed to automatically track drive time, allowing fleet managers to view drivers’ logs by month, week, and day. Driving time and rest periods can be monitored for each driver. Just like other ELDs, this fully compliant system allows for a real-time view of driver hours. Drivers can manage driving time without much hassle. You can also easily email, fax or print data when required by law enforcement. EVIR is a popular Zonar feature that catches the attention of many users despite the fact that it isn't directly related to e-logs. Basically, it is an electronic Driver Vehicle Inspection Report (DVIR) that involves scannable RFID tags. These tags are placed both on the trailer and truck at different inspection locations. A driver is supposed to scan each RFID tag with a Zonar device when inspecting his vehicle. The system is offered as an add-on to Zonar 2020 or as an independent stand-alone device. Not only does the EVIR make the vehicle inspection process easier, but it also ensures that drivers are really going through every section of that process. This makes it a valuable feature for fleets seeking better post- and pre-trip inspections. This feature is available within Ground Traffic Control. Please note that you also need to have the 2020 tablet. It alerts drivers of any pending violation in a timely manner. This can help you avoid costly violations when driving. Alerts get activated when you approach your HOS limits – five minutes before the violation. You can also receive email or text alerts to your smartphone if this is more convenient for you. 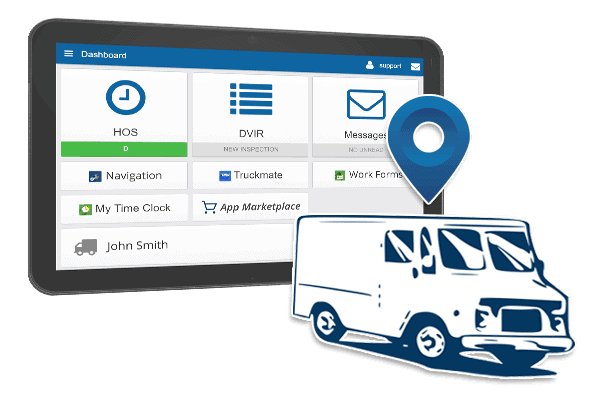 With the Zonar Connect tablet, drivers can easily update duty status, view available hours, and submit HOS records electronically. By eliminating paper logs and switching to an electronic logbook, you can track drive time and other metrics automatically. It makes things a whole lot easier for fleets. As far as installation is concerned, it should be noted here that this is a fairly involved process. Being a fully wired system, Zonar ELD is designed to be plugged into the ECM connector rather than fitting in the diagnostic port of a vehicle. Fleets that constantly change the lineup of their trucks will have a hard time installing the devices this way. Whether you are an owner-operator, fleet administrator, or safety manager, this solution will help you manage your fleet more successfully. In fact, it is best suited for fleets striving to improve maintenance. 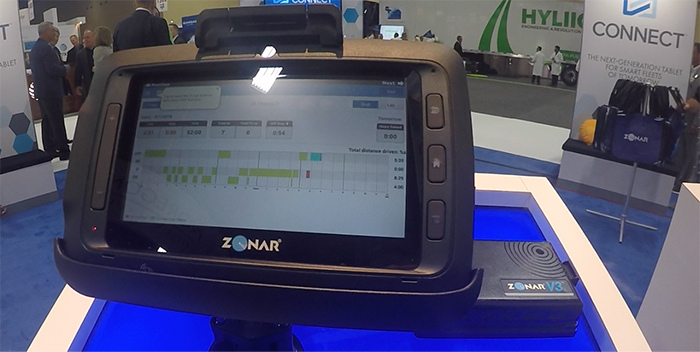 While being focused on the ELD mandate, Zonar also aims to provide an excellent user experience. There is a good range of benefits associated with Zonar’s solution beyond compliance. Money saving — This ELD solution saves a lot of money in the long run. By eliminating the costs of paper forms and reducing fuel wastage, fleets can save money and time as well. You will be saving hundreds of dollars on a monthly basis by eliminating excessive idling. There are also some potential decreases when it comes to insurance costs. The good news is that there are no upfront costs. Higher Profits — Zonar will help you improve the work efficiency and increase your earning potential. With better drivers management, automated IFTA calculation, idle-time tracking, and decreased administrative burden, fleets can notably cut the cost of operations. This eventually increases their profits. Better Route Management — Through GPS tracking, this system lets fleet managers actively monitor their vehicles. Since they can easily determine the location of each vehicle at any time, it's unnecessary to call drivers when getting an update. Aside from providing real-time visibility, this can also minimize distractions and improve productivity as well. Automated IFTA Calculation — With so many resources, chances are high you will make an error when doing the IFTA calculations yourself. Zonar can considerably simplify the calculation process. Also, automated reports with no inconsistencies and errors minimize audit risk. 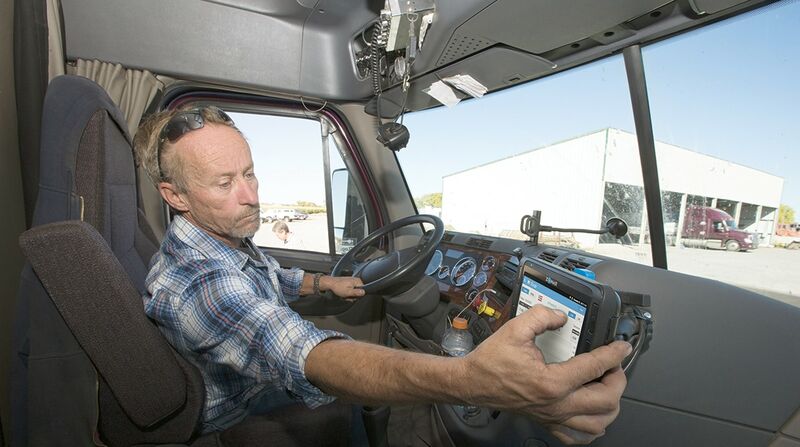 Increased Safety — Generally speaking, drivers with electronic logging devices are safer while on the road. The same goes for the Zonar ELD. 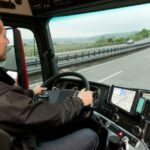 With dynamic route management, improved tracking, and fault monitoring, this solution promotes accident prevention. Gone are the days of paper logs. The ELD Mandate says that electronic logging devices must be installed in all trucks and commercial buses. Without an FMCSA certified ELD, you risk being penalized straight away. The costs of non-compliance are significant and they are getting higher. No worries at all. The Zonar ELD eliminates any risk of violations. Aside from being FMCSA self-certified, it is third-party verified, too. This solution has completed FMCSA testing altogether. So you can rest assured that Zonar ELD is compliant. What's more, it can be updated with future regulation changes. Zonar has recently announced the ELD Transition Services Package. It is tailored for people seeking a comprehensive all-in-one ELD solution that allows for updates as the ELD rules change. 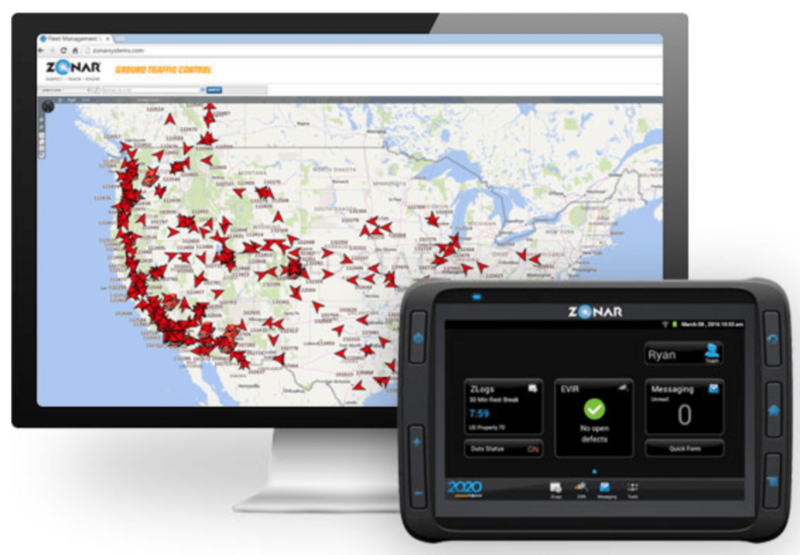 If you are looking for a comprehensive ELD solution, Zonar is a good choice. It ensures compliance with the laws, automates logs and HOS reporting, and reduces errors. Furthermore, this solution minimizes the risk of tampering and prevents costly violations by means of preemptive alerts. With a plethora of telematics and mobile platforms, you get value beyond compliance. 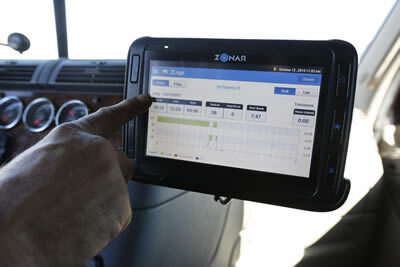 However, keep in mind that Zonar is new to the ELD and HOS market. Even though it is already a good product, there is still a great potential for improvements. We believe that the company will continue refining their products and come up with new top-notch solutions in the years to come. Poor design, hard to see screen during the day, very dim, can’t adjust lighting, pops driver into driving after driver selects PC. Won’t allow you to correct when device changes your status on its own, starts your 14 hours and you are supposed to be on PC. Not user friendly, extremely poor customer support, can’t view available hours unless you go to GPS. Joe, sorry you’re having such troubles with the Zonar device. We’ve had drivers give us feedback from both sides. If you’d like us to assist you with choosing a new device, we are available Monday-Friday, 9am to 5pm EST. Good luck!